The brand new, ecoTEC plus 48 and 64kW boilers are compact in size and much lighter than their predecessors, with the 48kW weighing as little as 38kg. These compact boilers are a great solution for projects that have tight, restrictive spaces to work in, especially as both the front and side panels can be removed for much easier access. Both ecoTEC plus 48kW and 64kW are ErP A rated, but can be improved further to ErP A+ when combined with Vaillant’s VRC 700 and 700f controls. This enables customers to control their heating from a smartphone or smart device via the VRC 700 app. Both models also feature a stainless steel heat engine, which is renowned for quality and reliability, but also delivers higher operating combustion efficiencies (94%) to minimise waste during operation. This also helps to reduce NOx and CO2 emissions. The inbuilt shunt pump helps to keep the overall footprint of the installation compact, and the removable front and sides panels provide greater access. The gas pressure test point has been relocated to be positioned on the isolation valve, which means everything can be accessed easily from the front during commissioning and servicing. Both boilers also feature a new gunmetal air separator with system pressure gauge, to remove fine air bubbles from the system and the internal ducted rain collector prevents rain ingress from the flue system depositing in the boiler casing, which help to protect the internal electronics within the boiler. ecoTEC plus 48kW and 64kW are compatible with Vaillant’s existing range of accessories, such as cylinders, low-loss headers, plate heat exchangers, flues and controls. ecoTEC plus 48 and 64kW can also be converted to LPG to cater for projects that are unable to use a natural gas supply. In addition, the boilers can also be installed in cascade directly on a wall, or using the Vaillant cascade rig system to cater for larger commercial projects. Watch our series of videos below to find out about the launch event and the innovation behind the product. The ecoTEC 48 and 64kW boiler is compact in size, compatible with both LPG and natural gas and can be installed in domestic premises or can be cascaded for larger commercial outputs. Click here to see the story behind the product. Find out more about the success of Vaillant Commercial Systems and how it’s led to the development of the brand new ecoTEC plus 48 and 64kW. If you are a domestic installer wanting to know more about our high output range click here. If you are a commercial installer and want to find out more about our light commercial rangeclick here. Advance installers can look forward to even more benefits when they register an ecoTEC plus 48kW or 64kW boiler through Advance. 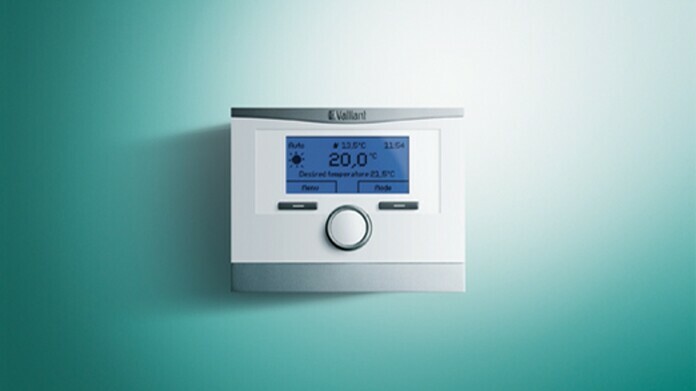 Advance installers get £20 cashback and 40 business credits to spend on Vaillant rewards for each boiler registered.